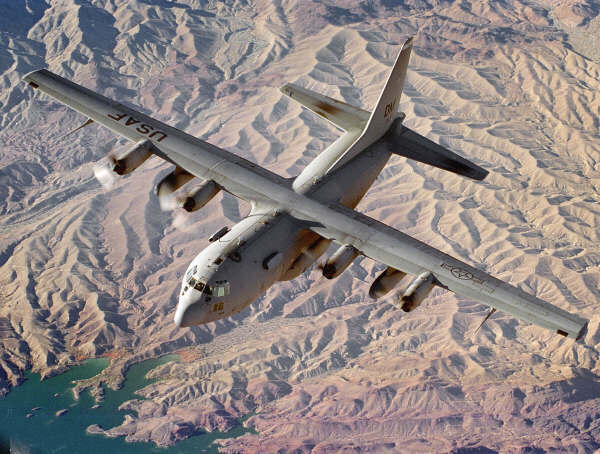 The EC-130H are American airplanes from the 41st Electronic combat squadron. 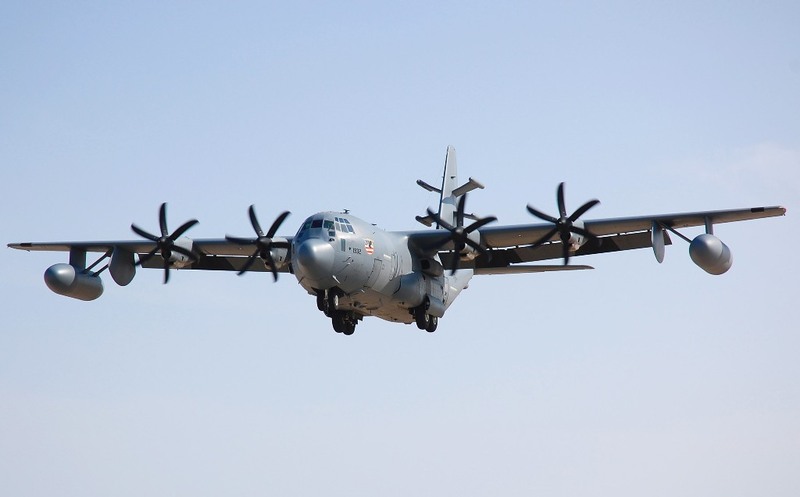 The airplane - in clothes of a normal C-130 - is a special airplane to support ground forces with as primary task: disturbance of enemy air defence and radio- and telephony traffic on the ground, and to disturb enemy ground weapon systems. 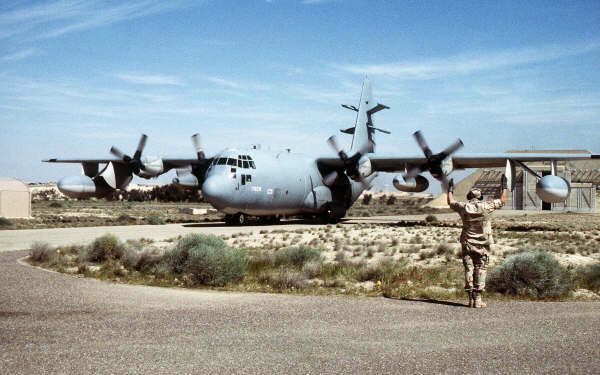 The EC-130 can also be used as a flying command platform. 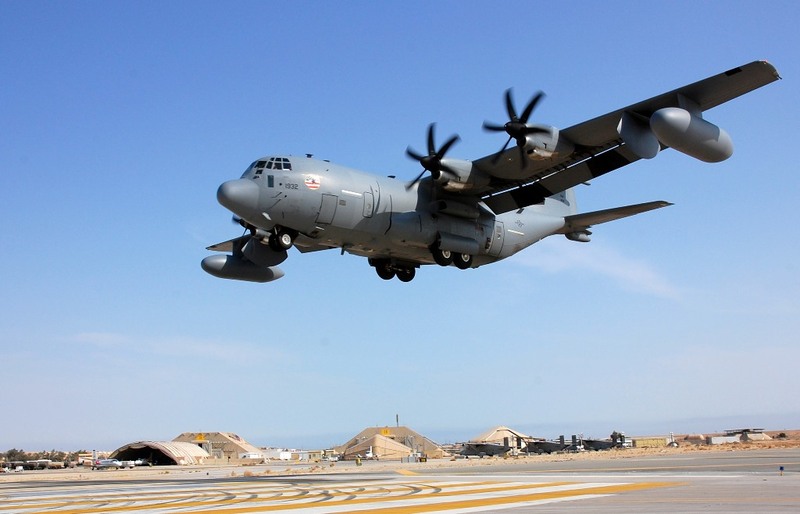 There are 2 EC-130H squadrons. Each squadron has 4 interpreters to translate the intercepted message traffic. A squadron has 4 interceptors, one squadron for Spanish, Arabian, Farsi, and Pashtun. The other squadron has 4 interceptors for Chinese, Russian and Serbo-Croatian.